What exactly is a promoted post? Sponsored posts are different from past Facebook ads because they lack the targeting options you have with ads, and they show up in the newsfeed instead of just in the sidebar. This means that mobile viewers will see them as well. The important thing to note here is what audience you select and what your maximum budget is. 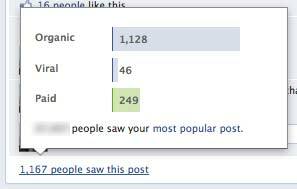 Make your selections and hit “Promote” and your post will get more views in the newsfeed. Should you promote your posts? 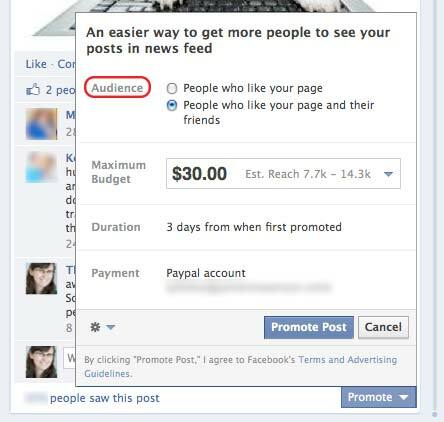 The first thing you need to do is know what kind of outcome you’d want from promoting a post. 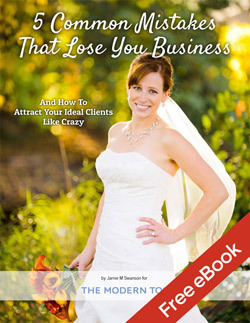 Will it actually attract the right type of people to your business and get you the results you want? Clearly, if you are paying to have your post in front of people, you want to make sure they are people who are interested in hiring you. Because you can’t target your posts any more specifically than this, I wouldn’t promote to anyone but fans until this gets fixed. I’d also save promotions for things like mini-session announcements or things that are specifically calling people to book you or make you money. If you’re tagging your clients in your images, they are going to be sharing them either way. Promoting posts to get more fans is also a bad idea, since if Facebook decides to change the algorithm again in the future, you lose a lot of value if they stop showing things to your fans. Fans who don’t see your posts are worthless to your business. I think it can help you get more clients, but it has to be used wisely or you’re just throwing your money down the drain. It hasn’t been great. I am currently promoting a sale I’m having right now since I just turned 31 years old on Sunday AND because we hit a huge milestone with over 10,000 email fans this past weekend (WOOT!). Honestly, the results haven’t been that great. I’m only getting about 20% more pageviews than I normally would, which is pretty low considering I lost about 60% of my views on average. (See the stats above; they come from this post). So I can’t even seem to pay to get my old results back. Super lame, Facebook. I want my fans back! I’d love to do a little experiment with this, but I need your help. In the past, engagement has been the #1 key to getting results. I want to see how it changes the results of this post over the next few days while it is still a “promoted” post. Here’s what I need you to do. It’ll only take a moment. Thanks for helping! 1. 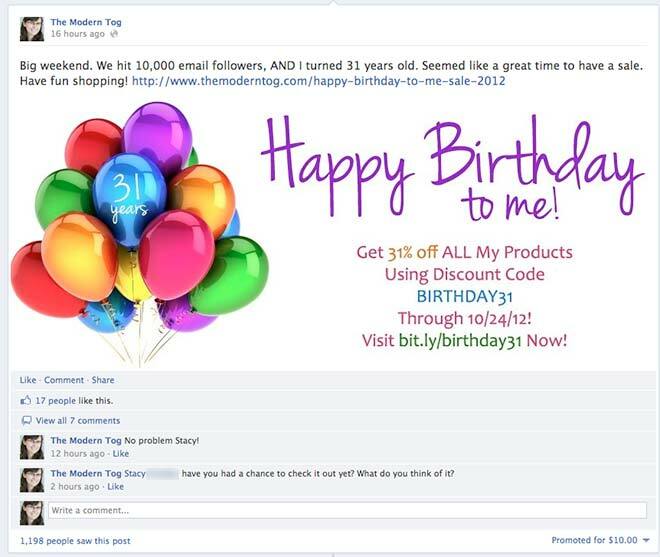 Click here to see the post, then leave a comment (even something as simple as “happy birthday”). 3. For bonus points, click “share” and share it on your wall or in a group, explaining the reason we’re doing the experiment or telling people about how awesome my stuff is if you use it and like it. And no, this is not a shameful attempt to get more people wishing me a happy birthday, although I’m shameless enough to do something like that, ha! I’ve been known to make trouble from time to time for sure! If you want to know more about the algorithm changes, this article talks about the impact, why they did it, and how Facebook’s goal is to have one out of 5 posts in your newsfeed be from sponsored posts!!!!! Dude. That’s a lot of ads. But they need to make money to keep their shareholders happy, so it’s only going to get worse. 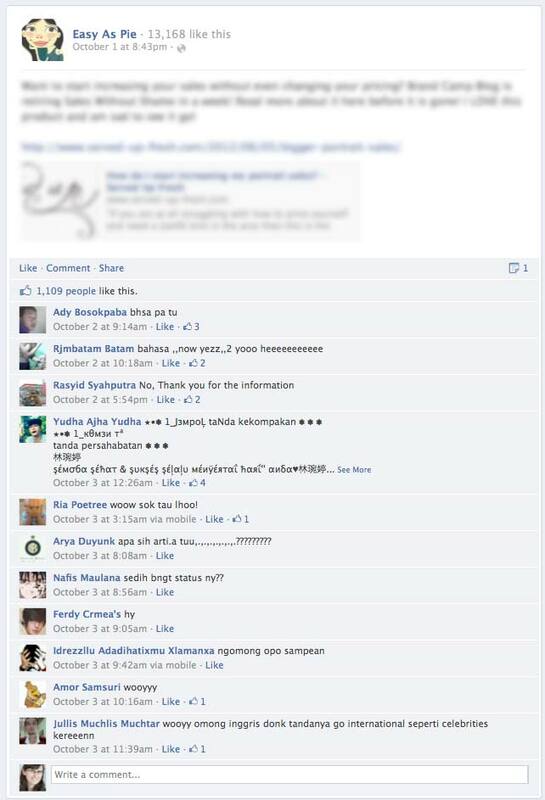 Here’s the info, as well as how to respond to the new algorithm changes to minimize the impact to your fan page. 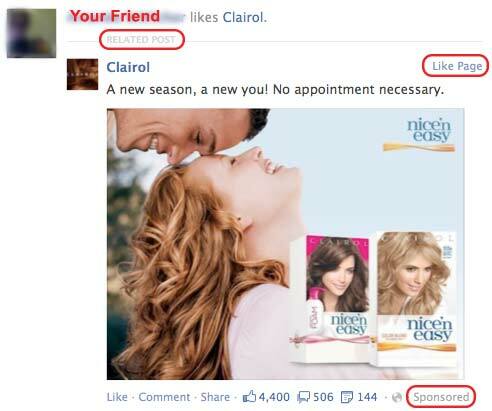 Facebook is also looking at adding a pinterest-like feature with “want” and “collect” buttons. Leave it to the big guys to steal a great idea from a startup like Pinterest. 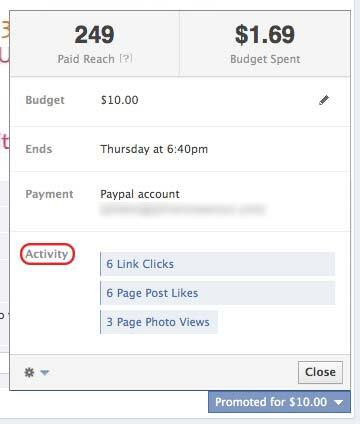 Finally, you also have the option to promote posts you make on your personal profile for $7. I tried this out too, by sharing a story from my page on my personal wall and promoting that, but it had even worse results. Don’t waste your money here AT ALL. The metrics are very poor as well so it’s not worth it one bit, and it didn’t increase engagement at all. Facebook has been free for a long time. I understand why they need to make money, and I wouldn’t even be surprised if they start requiring payment for fan pages. Yet it makes everyone angry when they decide to start making us pay for something that has benefited us but has been free in the past because we’ve relied upon it so much. But here’s the thing that we need to remember. Anytime we base our business marketing on something that is free or run by a third party, they have every right to do anything they want and change anything. We don’t have to like it. They are a business just like we are. I’d be absolutely livid if I spent lots of money in the past getting more fans, because the new changes would have taken away half or more of the effectiveness of the money I spent. This is what you risk by building an asset on a third-party platform. They can do anything they want. And if your business has been built on their platforms and rely upon them, they can ruin your entire business. So instead of relying upon third party platforms to build your business, build your business with things that you control completely and look at these third party platforms as benefits, not assets. Use them, but do not rely upon them. This is why I so strongly believe that people need to stop using free blogging platforms like blogger and wordpress.COM for their websites, and why it is vitally important to have your own self-hosted photography website using something like wordpress.ORG (not .com) even though it costs you $10 a month or less instead of being free. 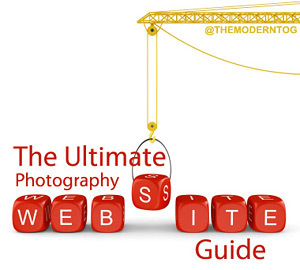 If this all sounds like gibberish to you, read my beginner’s guide to creating a pro photography website by clicking here. I also think that every single portrait photographer should be building an email list with a service such as AWeber. That’s an affiliate link because I personally use them and think that they’re the best out there as well as the smartest service to use instead of using a free service like MailChimp, for reasons I’ll be explaining in the following few months. This will be your most important asset, perhaps even more profitable than your own blog for building repeat customers and booking yourself solid. Any of these free sites or sites where you’re not in control completely carry this risk. Learn from what Facebook has done, use them for what you can, but don’t make them your only source of marketing and advertising or you carry more business risk than you might realize. Build a smart business that YOU control, so changes to things like Facebook are a mere inconvenience and not a business breaker. Click here to tweet this quote. 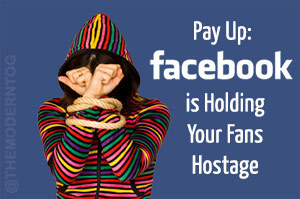 How have the changes to Facebook affected you? Leave a comment below and share your experiences!